Buy extra fragrance for one of our diffuser sets. Over 75 quality fragrances suitable for refilling all brands of reed diffusers. 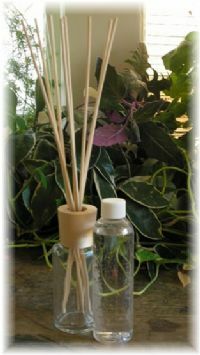 Our fragrance reed diffuser oils are ready to use. No need to add anything to them. Our oils are NOT diluted with ALCOHOL (that evaporates)or DPG (that will clog your reeds). If you are changing fragrances you will also want to replace your reeds.